The Winthrop University Saxophone Studio contains 18 undergraduate and graduate students majoring in music performance and education. 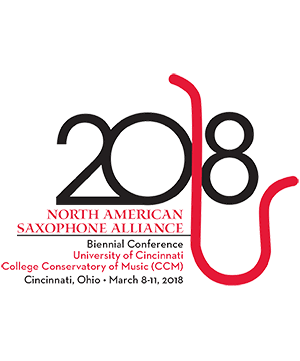 Under the instruction of Dr. Tracy Patterson, Assistant Professor of Saxophone, and Mr. Neal Postma, Adjunct Professor of Saxophone, students perform in various ensembles and study an array of musical styles and genres. Saxophone quartets from WU won the South Carolina Music Teachers National Association Chamber Music Competition in 2015 and 2016. Additionally, they have presented programs at the South Carolina Music Educators Conference and have performed on master-classes with Dr. Connie Frigo, Dr. Nathan Nabb, Dr. Dave Camwell, and Professor David Dees. The WU Saxophone Ensemble is a newly formed group of ten saxophonists playing a wide range of music. They are coached by Dr. Patterson and Mr. Postma.